The Central Texas Region has witnessed unprecedented growth and development over the last century and there is no sign of an imminent slowdown. This growth is especially evident in Austin, which has been doubling in population every twenty years and has experienced revitalization in downtown mixed-use and residential development, cultural amenities, and public parks and open spaces. Emergent Urbanism: Evolution in Urban Form, Texas a joint Placemaking Studio, Congress for the New Urbanism, and University of Texas publication is a richly illustrated resource that tells the story of the Central Texas region, highlights current policies and up-and-coming projects, and provides balanced views on the growth, change, and prospective future of Austin. 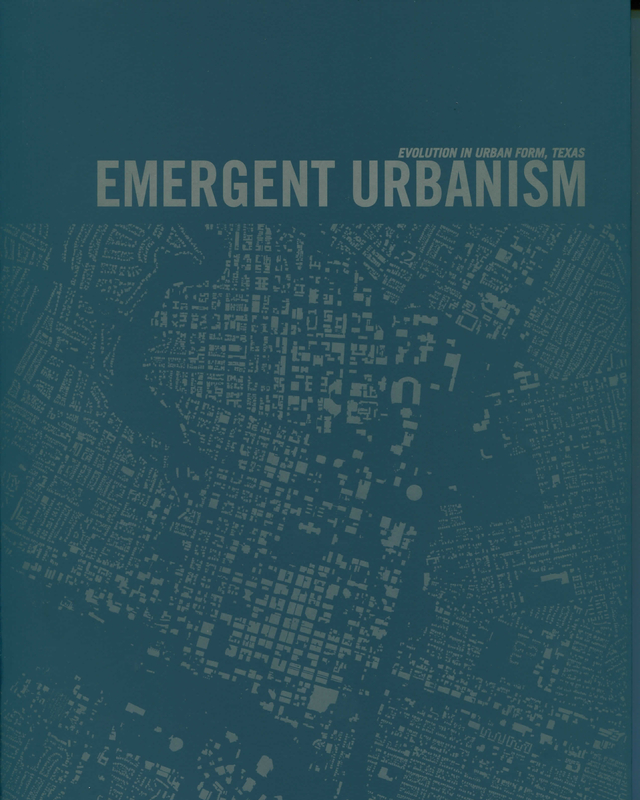 This book offers significant insight into the social, physical, and economic planning and design of Central Texas by a number of local and influential authors, including Mayor Will Wynn, a leading advocate of green building and sustainable design; Senator Kirk Watson; Fritz Steiner, Dean of the School of Architecture at the University of Texas; as well as architect, urban designer, and CNU Athena Medal award recipient, Sinclair Black, FAIA (Principal, Placemaking Studio). Proceeds from book sales will be donated to a University of Texas School of Architecture Scholarship Fund.